Finishing our triumvirate of 15mm releases is this new cargo carrier version of the GS-1000 range of GEVs. This single piece resin model is based on the standard GS chassis with a new open cargo deck – a larger rear section that will fit one of our cargo pods, and a smaller side section for ammo boxes, fuel cans etc. 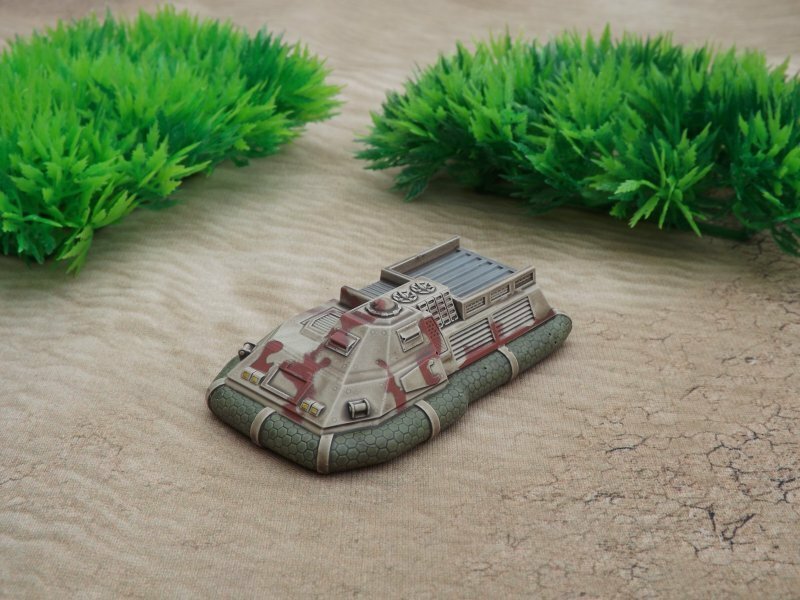 Today we have a new addition to our range of 15mm SF bunkers and fortifications. 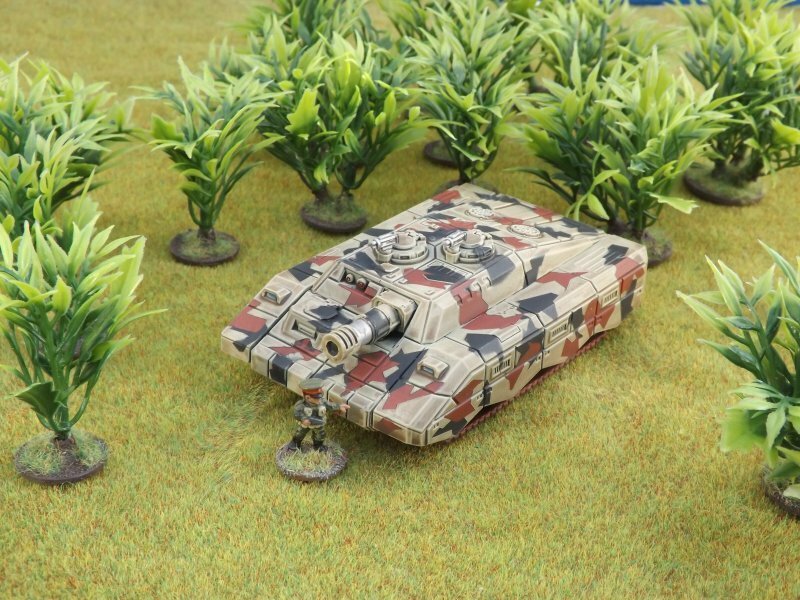 The AA Bunker is a resin model that consists of a small radar-equipped control bunker with an attached mounting for a turret – generally an AA one, although there’s no reason why you couldn’t fit it with a small missile or gun turret from our extensive range. The website allows you to pick from several popular AA turrets including twin gatlings, an 8-barrel calliope or missile pods, but if you’d like to equip it with anything else then drop us a line and we’ll do our best to help.